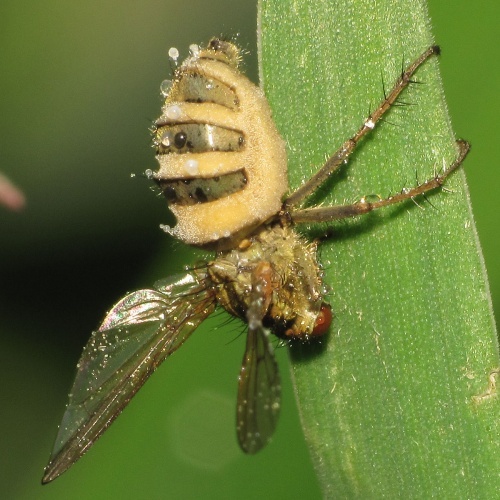 This is a pathogenic fungus which causes a fatal disease in flies. 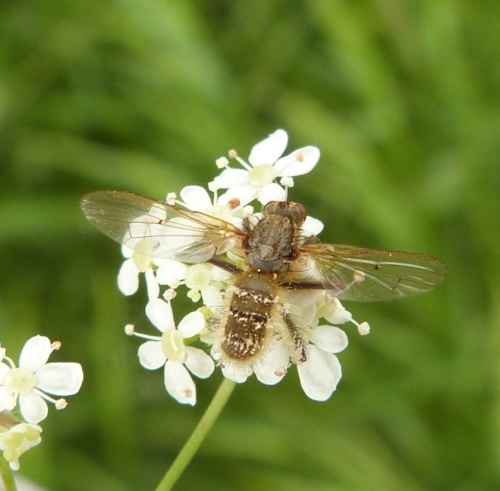 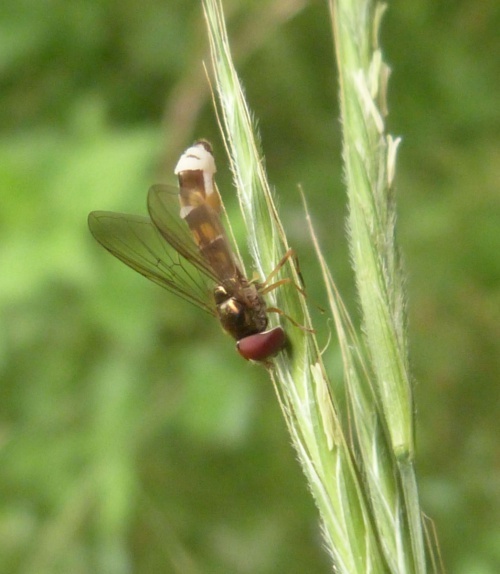 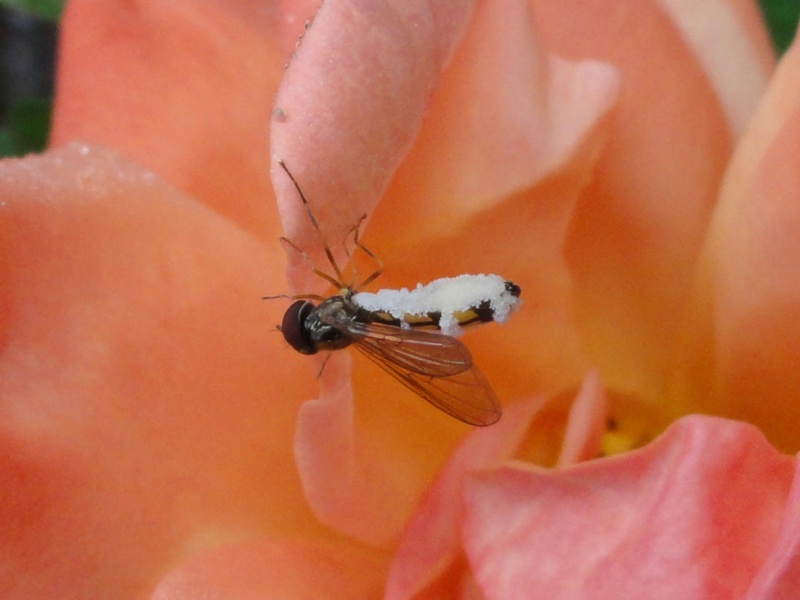 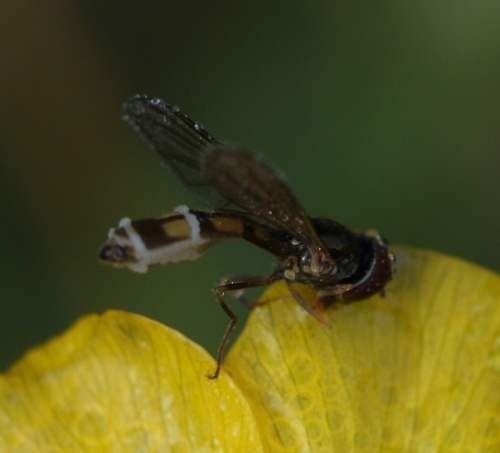 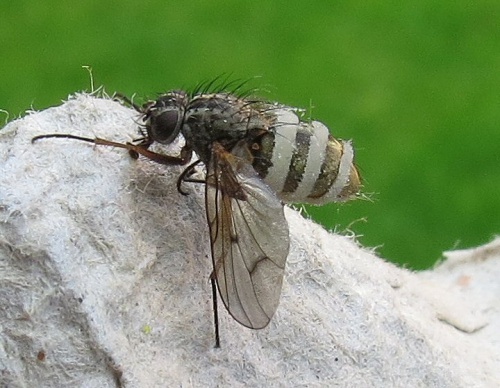 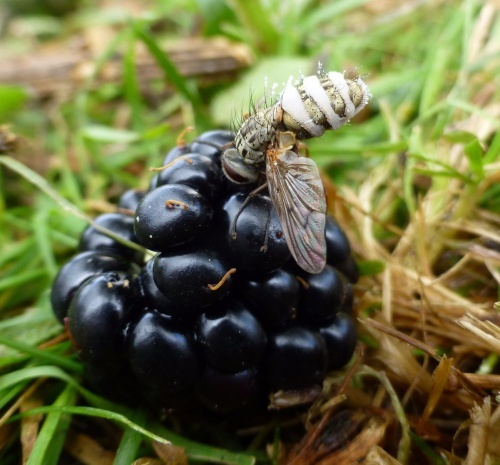 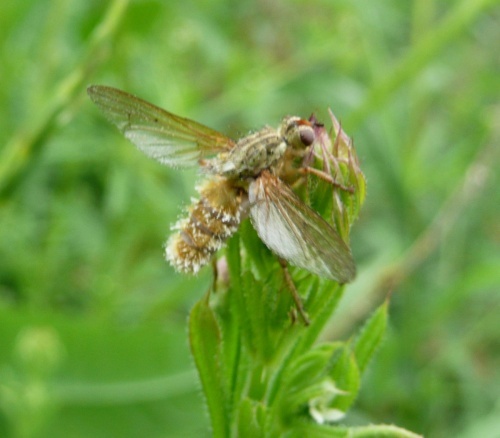 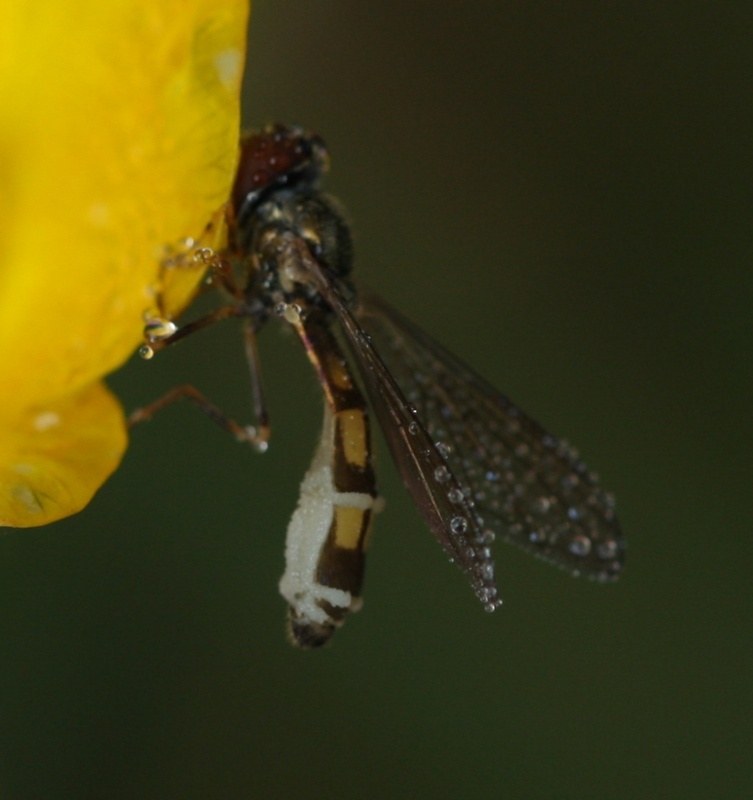 This fungus may affect a number of different species of fly. 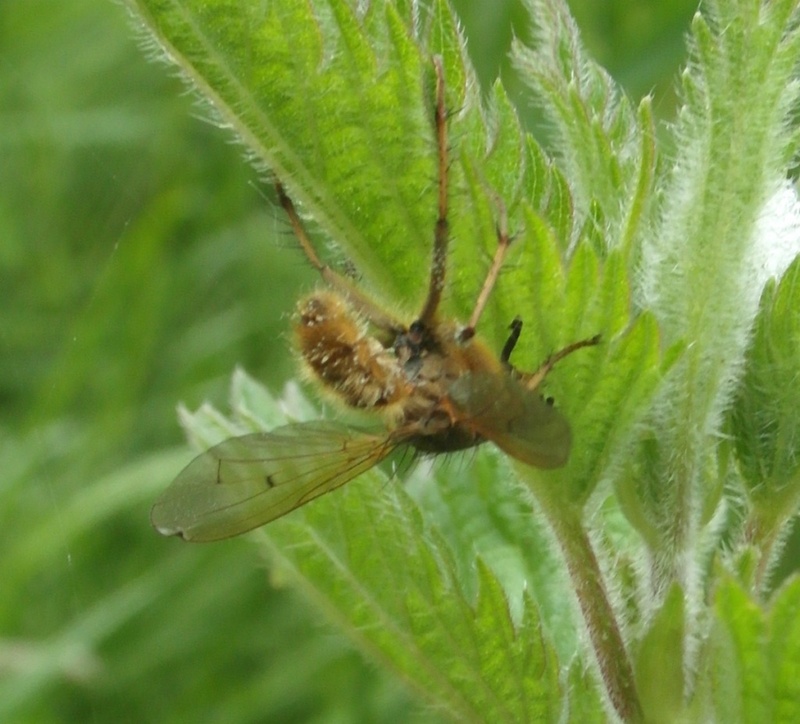 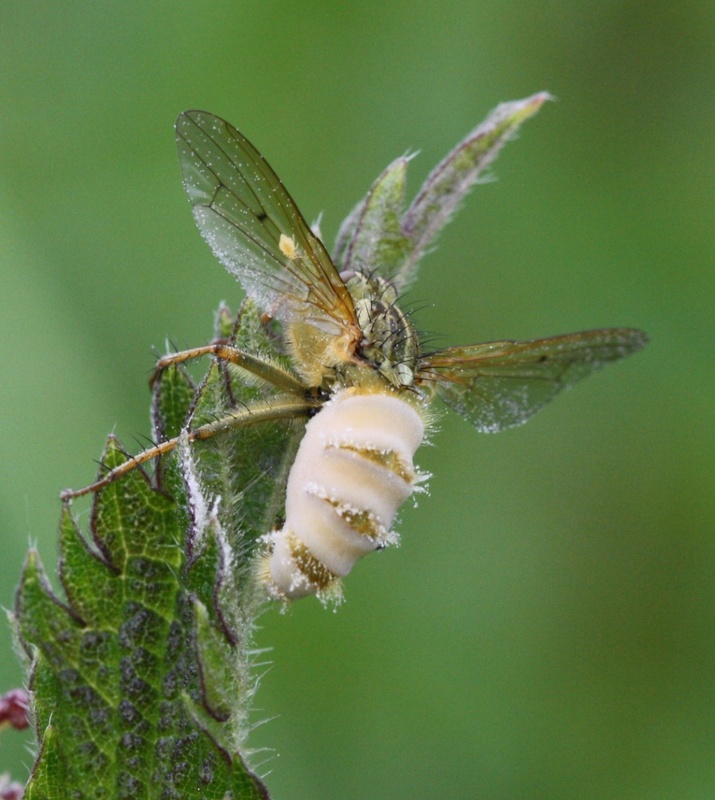 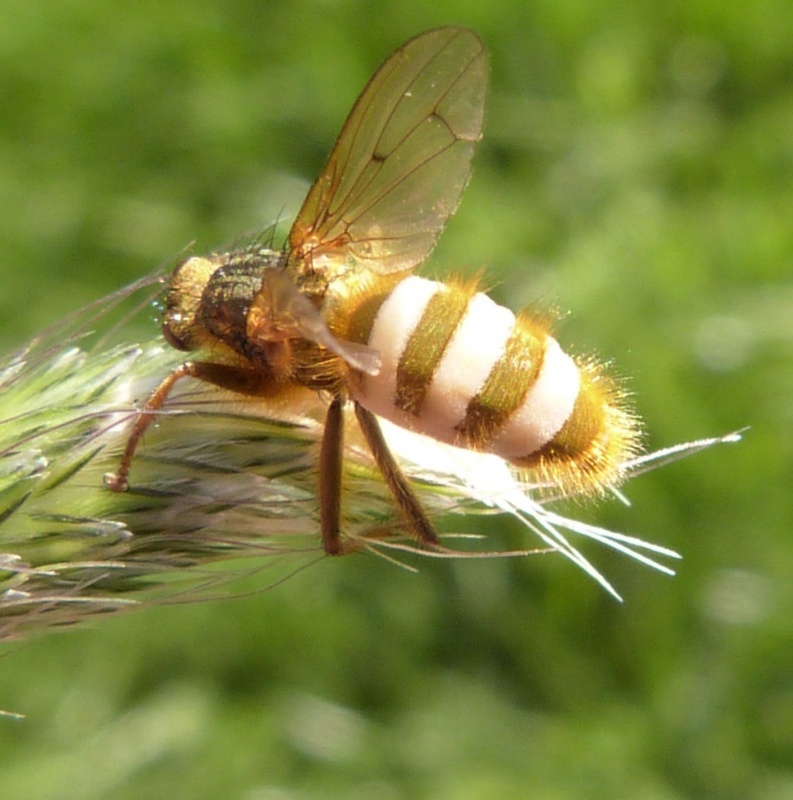 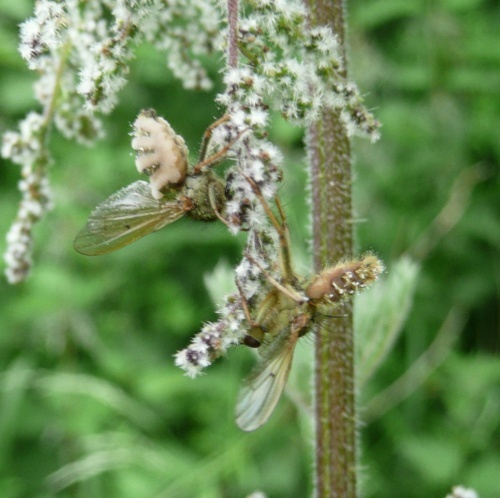 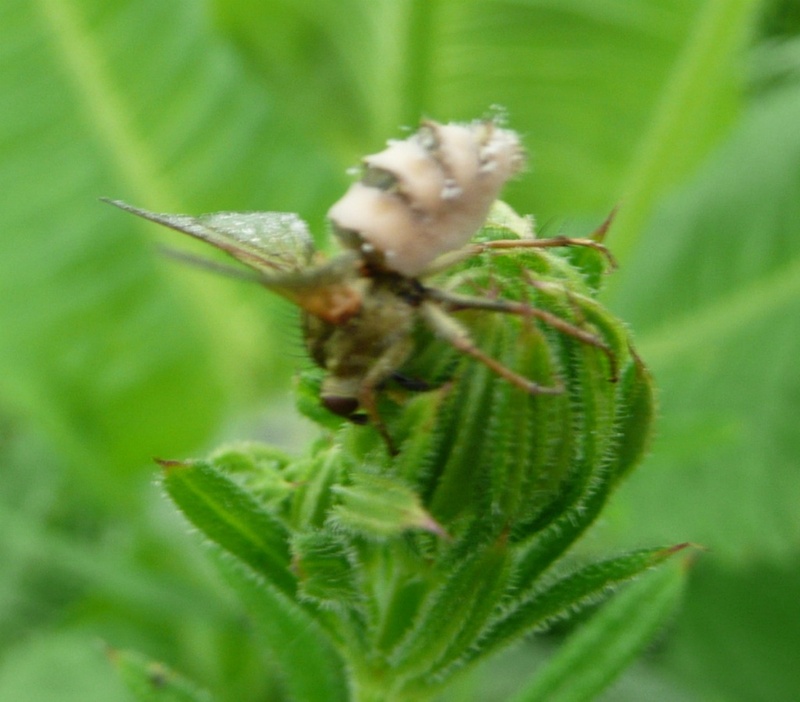 Outbreaks of infection with Entomophthora muscae tend to occur in the spring and autumn. 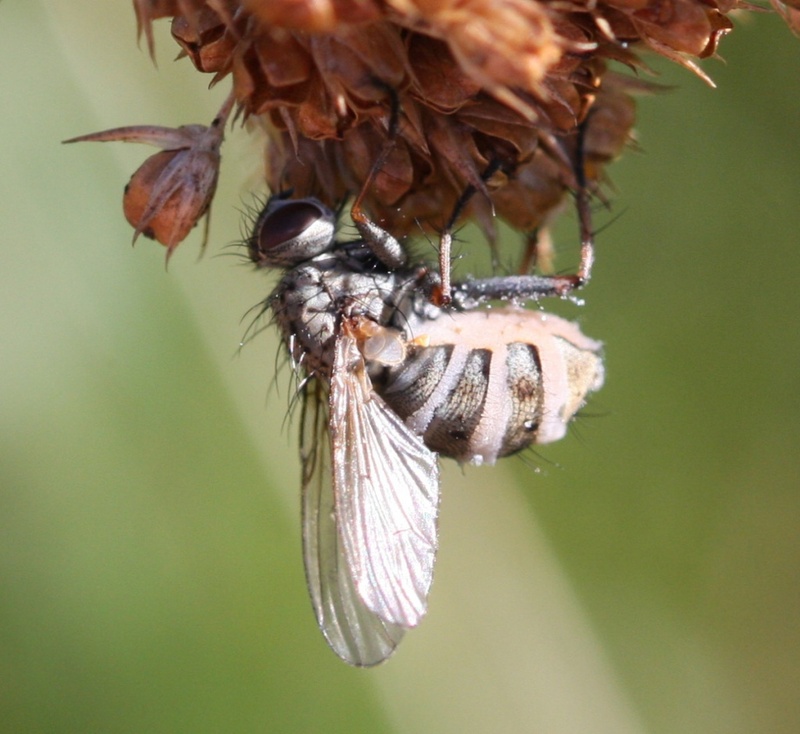 Once infected the fly dies in about five to seven days. 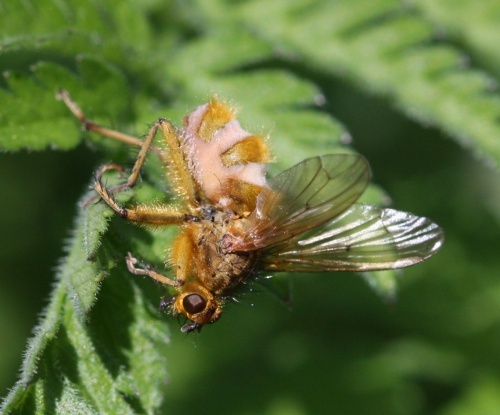 When it is critically ill, it tends to crawl to a high point, straighten its hind legs and open its wings, a behaviour that ensures that the fungal spores are dispersed as widely as possible. 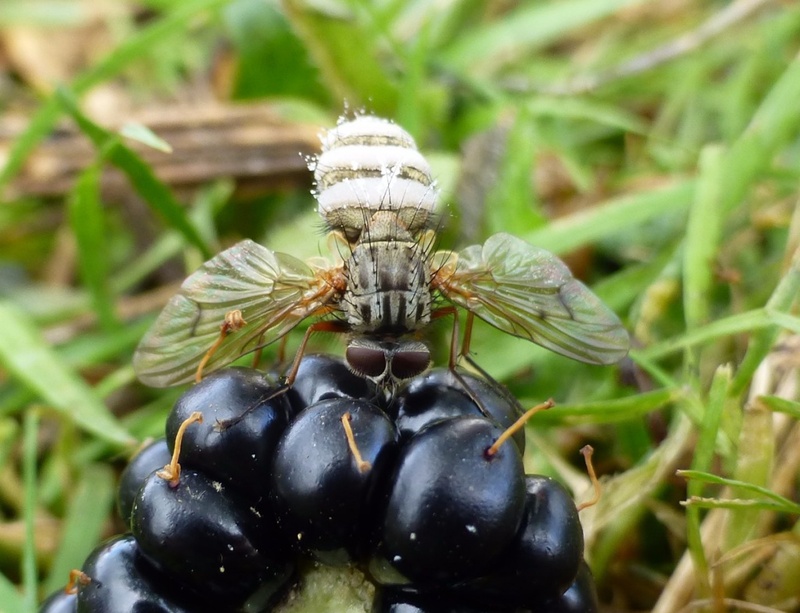 Some three hours later, conidiophores start to develop and a new shower of conidia is initiated.